Goth favorite and master of dark comedy and sporadic ideologies, Tim Burton announced in early 2012 that he would be directing the adaptation for the first of the three novels by Ransom Riggs titled Miss Peregrine’s Home for Peculiar Children with no hints of any doubt in his abilities to bring this strange work to life. With Halloween coming up, basically everyone is constantly reminded of Burton’s successes and enormous hits, like “The Nightmare Before Christmas,” “Beetlejuice” and “Corpse Bride.” Who doesn’t enjoy witty Jack Skellington or the unforgettable “This is Halloween” track during this time of year? These three films alone make it hard to imagine that Burton could mess up any edgy-themed movie. Or is it hard to imagine? At second glance, Burton also made surprisingly low rated films such as the remake of “Charlie and the Chocolate Factory,” “Abraham Lincoln Vampire Hunter,” “Dark Shadows, ”and I regret to mention the quite awful remake of “Alice in Wonderland.” Though Burton fans (including myself) eagerly dismiss those films in their heads to keep him reigning, that does not mean the rest of the world does…by any means. There was not much hype about Miss Peregrine’s Home for Peculiar Children, despite the few hopeful advertising attempts to intrigue viewers to the obvious Burton-esque film. And for good reason. 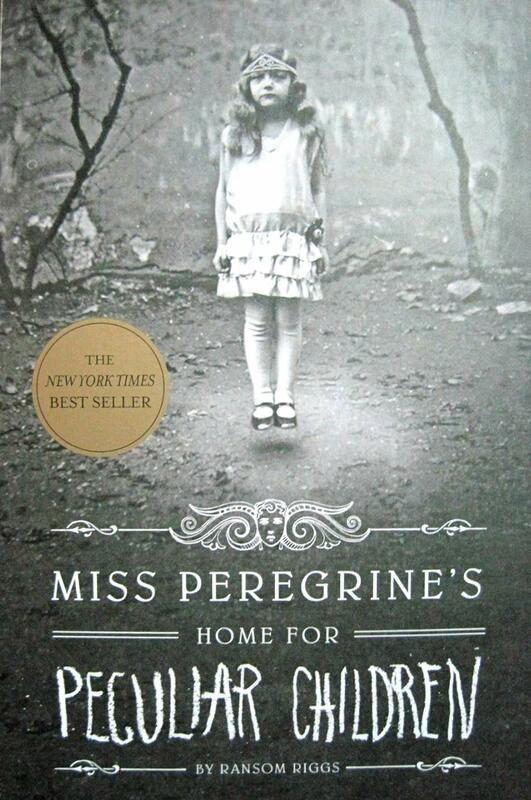 Most people know Burton films to have dramatic architectural structures, tall willowy trees, and a filter throughout the films that seems a shade or two darker than real life; all of which Miss Peregrine has, but it just wasn’t enough to keep the integrity of the book. It was a two hour film, but felt rushed and thoughtless. I think Burton was too high on his horse to put some effort into making you care about the characters in it, that you’re supposed to care for in the book. It used the typical main character that has a blessing/curse combination, which rolled off fine. 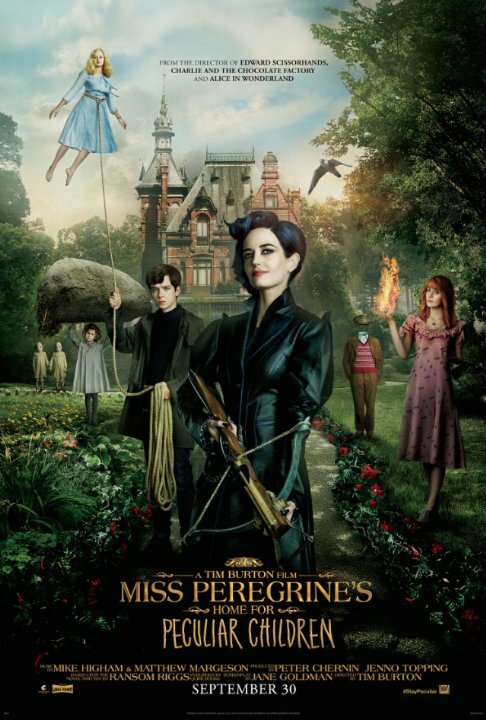 The enticing Miss Peregrine could change herself into a peregrine falcon and create time loops to protect the peculiar children from the invisible monsters. A unique idea like this could have been a huge hit, almost even in the leagues of Harry Potter or Lord of the Rings possibly, if given the right marketing techniques and perhaps with Tim Burton directing in his prime. It reminds me of when the movie “A Series of Unfortunate Events” came out with Jim Carrey, and it was a complete let down. It could have gone so far! That is a great book series, but it was shown as a joke and was never taken seriously. Something that bothered me within the movie, and I think most will agree if they choose to watch, is that the monsters in the film (also called the Hollowgasts) were so obviously inspired by HP Lovecraft’s Cthulu with a hint of SlenderMan thrown in the mix. It was a cool idea, but to be honest, with “Stranger Things” using the same sort of monster, it was not the best timing for such a similar terror to be used. It felt repetitive and eye-roll worthy. Samuel L. Jackson, who was the human version of a monster earned yet another eye-roll. Normally, an exaggerated performance is at least entertaining, but to put it bluntly, his was just annoying. It was obviously a quick cash cow for Jackson, which was disappointing for a usually great actor. The biggest difference in the movie compared to the book was that the two main female characters, Olive and Emma’s peculiarities were switched around. Burton explained at one point that he thought a female lead who could float and control air would be more thought-provoking than controlling fire. Enoch’s character, the one who could bring people/things to life was also not a big character, and he certainly had no problems with Jacob, our main character. Throughout the film, he is shown as a jealous, unwelcoming jerk. I am pretty sure it was just to add conflict, but it wasn’t necessary. The conflict should have come mainly from the Cthulu wannabes, instead of being a passive side problem to be dealt with. One thing I will suggest before seeing the film (as cliche as it sounds) is to actually read the book before seeing it. A flaw I depicted just viewing it the first time is that if I had not read the book first, I would be pretty lost at some points with characterization. So, is the book better than the movie? YOU BET! Read it. Go watch the movie and see if you have similar or different opinions! If nothing else, and you agree that this is one of Burton’s failed attempts at turning a decent book into a film, at least you’ll get an expansion in vocabulary from reading! And maybe a nice night out at the theater.